Hi! I have recently find #pandajs provides game Engine and gaming psychics and other gaming concepts. It is very nicely implimented and too good all showcases live games . I wanted to build a volleyball game using panda js. i have tried to understand the structure of that but its not more comfortable to understand . i have seen panda tutorials, Panda Fiddler but not much explanation their . I request here to guide me for developing the volleyball with #pandajs. i m new to gaming field. 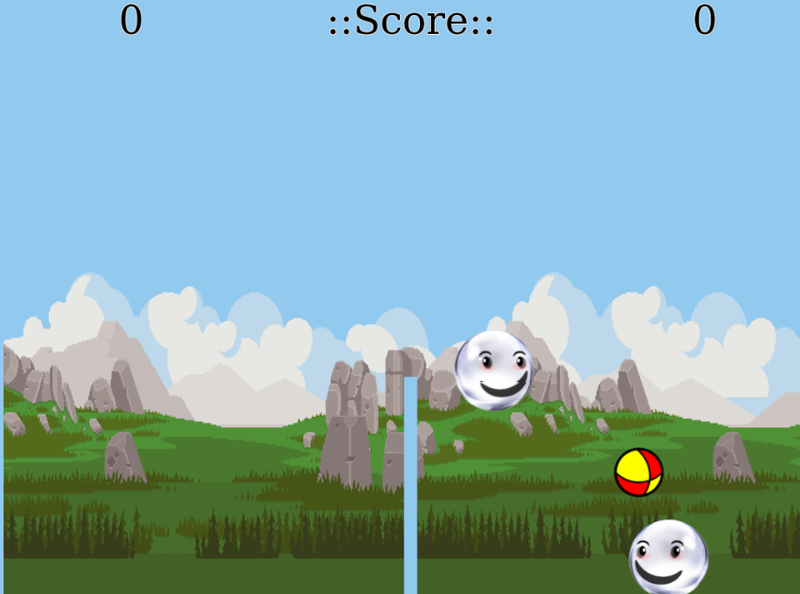 recently i have made small #html5 #games like #pacman,#tic-tac-toe, #parrallax horizontal with and without #pandajs. So Help me to gave rough path like where to start and where to end what classes needed for this game. I'm an absolute begginer with PandaJS but when I started to use it, I get on the fiddler page and then tried to use and understand all of the samples, then I get into GitHub and searched for "panda.js" which gived me a lot of game samples. Then I readed them all (including all of them files). Yes! ThanosS . You are right Fiddler gave new way examples for Panda JS. I learn more about them from that example. I have made little one but at right now i fixed in one error. i know the problem but how to fix didn't know . Here i m posting the game layout & CODE. Layout Design are just development purpose after developed professional design attach and publish. Ball Works proper. only players want to modify.. Problem : Player1 goes to Player2 side which i wanted to restrict it. and jump the Player on UP key EVENT i have done 50% Completed. Plz Help me to Fix it.. Thank You in advance.. Sorry for Bad English.